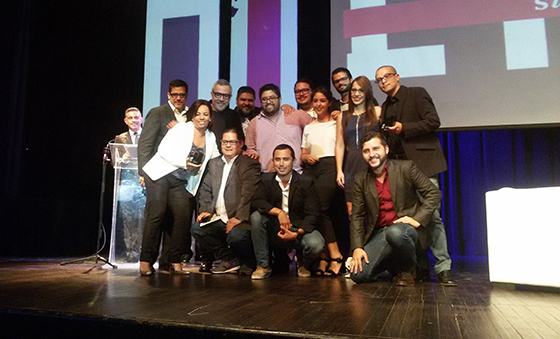 This year’s Effie Awards Costa Rica Gala was held on November 20 at the National Auditorium in San José. In the midst of a night full of magic and creativity, the campaign “Mom Goes First,” developed by Tiendas Monge and Havas Tribu, won the Grand Effie, the highest award given to commercial campaigns in Costa Rica. At the Awards Gala, Neal Davies, President & CEO of Effie Worldwide, Ana Helena Chacón, Vice President of Costa Rica, and Enrique Egloff, President of the Chamber of Industries of Costa Rica, were responsible for presenting the Grand Effie Award. "The campaigns presented this year showed a significant improvement over the previous year. That's what you're looking for with the Effie Awards, to reward those strategies that year after year exceed the previous awards and help companies achieve business objectives raised throughout the year," said Alberto Quirós, President of Comunidad de Empresas de Comunicacion de Costa Rica (Comunidad), Effie Worldwide’s partner in Costa Rica. Since the Effie Awards competition began in Costa Rica six years ago, participation has grown over 300%. "This shows the quality of the work that agencies put in with their customers and that this kind of activity is a window to show that strategy is more effective for the type of segment that you want to reach, and how through this business objectives are acheived," said Marian Bakit, The Effie Committee Coordinator at Comunidad. For more information please contact Maria Fernanda Lobo of Agencia Interamericana de Comunicación.